Mr.Sharp’s mind blowing beard has returned! Why did Mr.sharp shave his beard? Mr.Sharp said he was bored without it. Paisley said he probably looks better with it. We got used to him without it. He looks like he did before. Mr.Sharp and his mind blowing beard are perfect together. He started to grow his beard in the spring and it grew into summer. When Rope and I went to his house in the summer to work we saw his beard. He had a slight beard, you probably could not see it from five feet away. That’s how Mr.Sharp’s mind blowing beard returned. 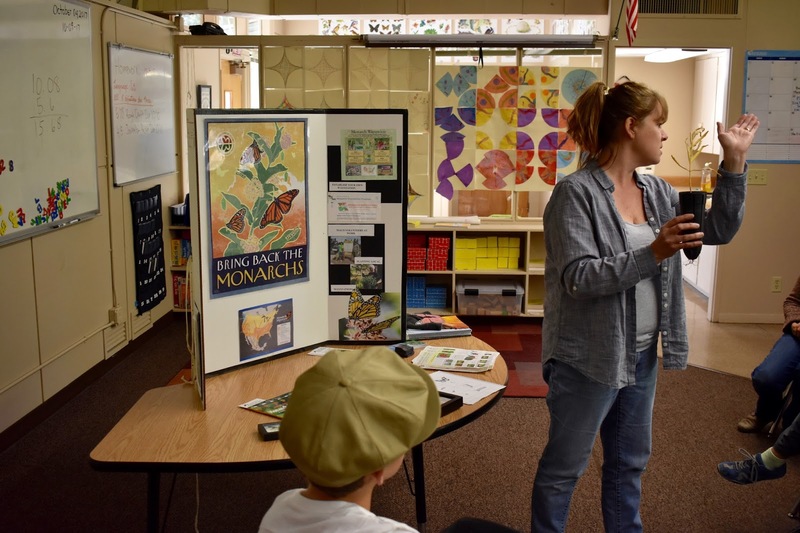 Monarch butterflies are dying because of the reduction of milkweed. The Butterflies only lay their eggs on milkweed. 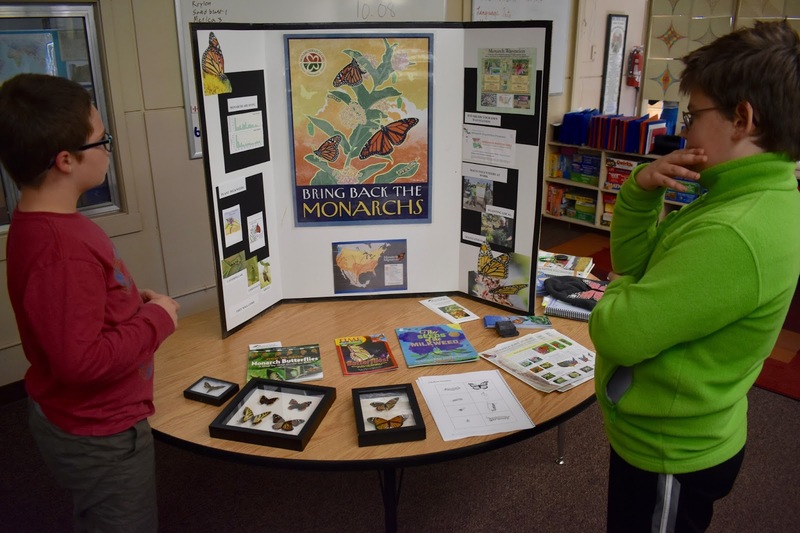 The monarch butterflies are the symbol of Texas, Minnesota, Alabama, Illinois, West Virginia, Vermont, and Idaho. 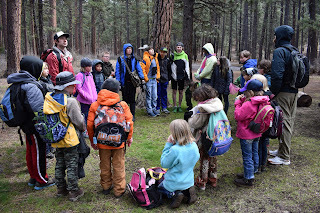 Black Butte School went on a field trip with Karen Gentry. 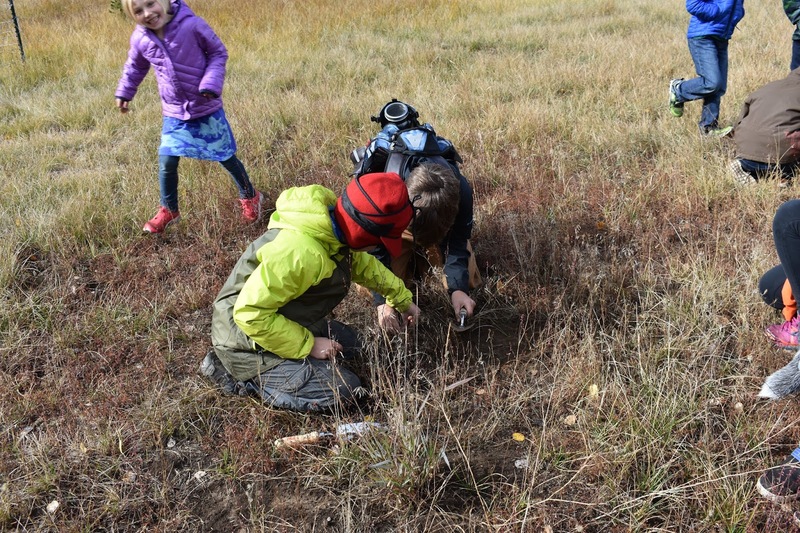 She took us to the new kid's fishing pond in Camp Sherman to plant milkweed. 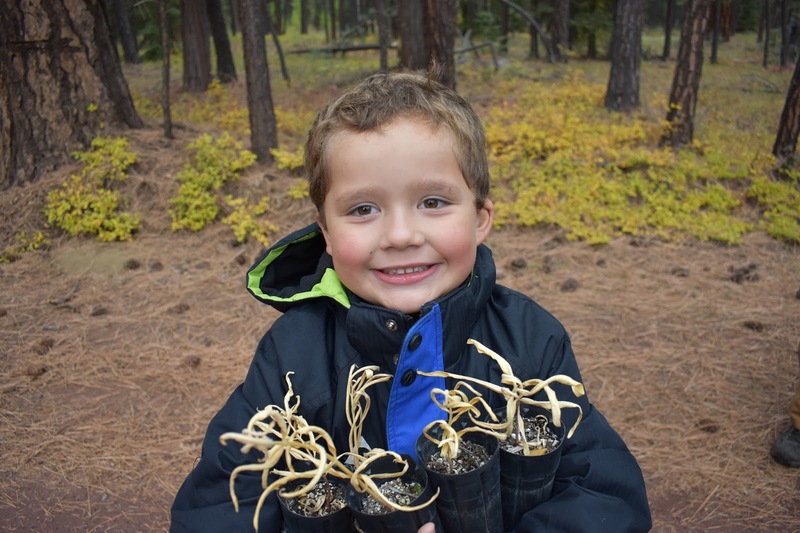 Talon and Weston said when they planted their milkweed, “we will tuck them in at night and kiss them and sing them a lullaby." Their scientific Name is Danaus plexippus. 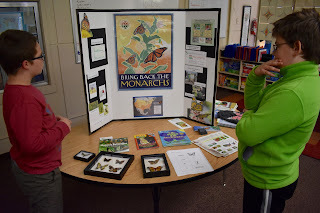 I thought it was fun to go out with the whole school and I hope it helps the monarch butterflies come to Camp Sherman. This month kids are excited for Halloween. 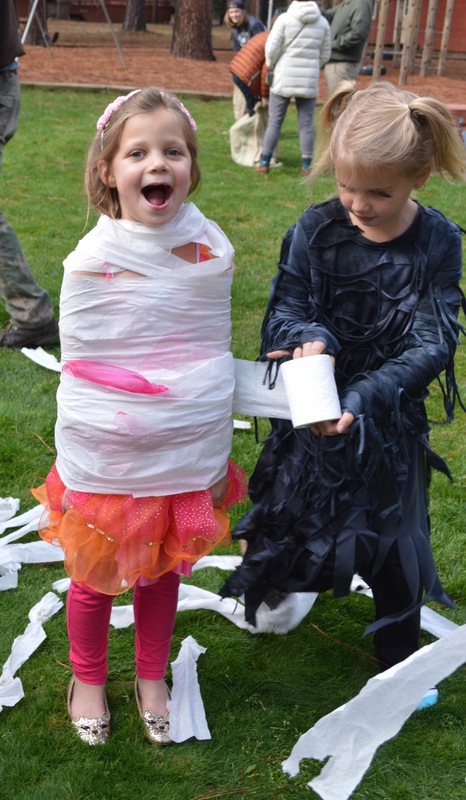 This year lots of kids are going to wear really cool costumes. Some of the costumes that the kids at school are going to be wearing are mini mouse, vampire, soldier, and pokemon. This year kids are excited for the annual fire station haunted house especially the scary people and the fog machines. Fog machines are a machine that puts out fog. Fog is silky white and floats around like clouds drifting in the air. This year people are predicting rain and snow. Every year during Halloween time kids are excited for carving pumpkins. When you carve pumpkins you make a face on them and put them in front of your door. Also there is a tradition of trick or treating when you go to someone's door and after they open you say "trick or treat!" That is a way of saying, "give me candy." This Halloween will be a wonderful scary night. In the clean crisp mountain air people are able to run free and have fun, but what happened before that? About a month ago the air was very hard to breath in with lots of thick smoke clouds. 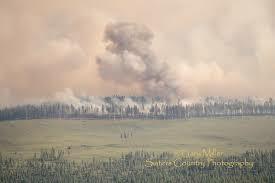 The smoke mostly came from a recent fire called the Milli fire it was caused by lightning and burned 24,079 acres 9 miles from Sisters, Oregon. 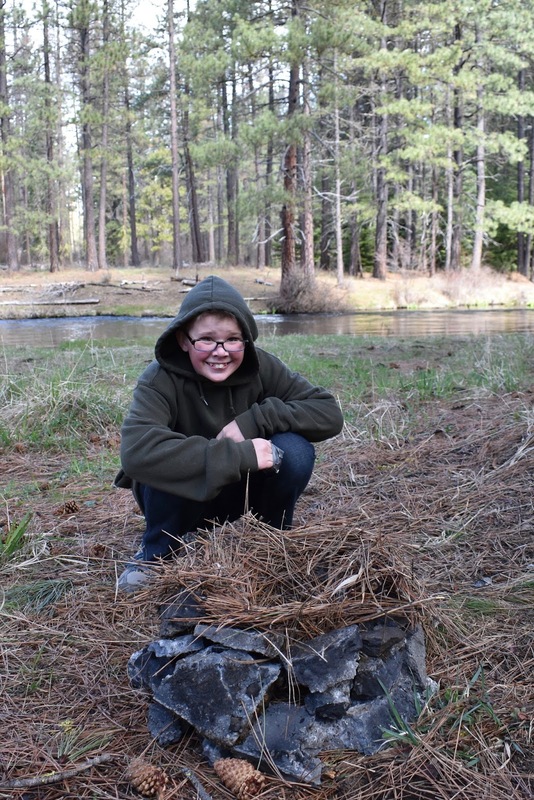 The fire was able to make tons of smoke and keep burning for a month because it was fueled by dry timber and brush which made all that black smoke. People didn't have a great time with the the smoke because when it gets in your lungs and eyes it irritating. Some people with asthma can't deal with the smoke because they don't have as much of lung capacity and the smoke is heavier than the surrounding air so it won’t come out of your lungs as easily. Lots of people were wearing masks which helped them keep the smoky air out of their lungs. This impacted the wildlife by making it so the animals are in panic. Also the animals aren't able to deal with the smoke as well as we humans are. This also impacted the way humans are going to deal with the pollution of smoke the next time and this will make us more prepared. 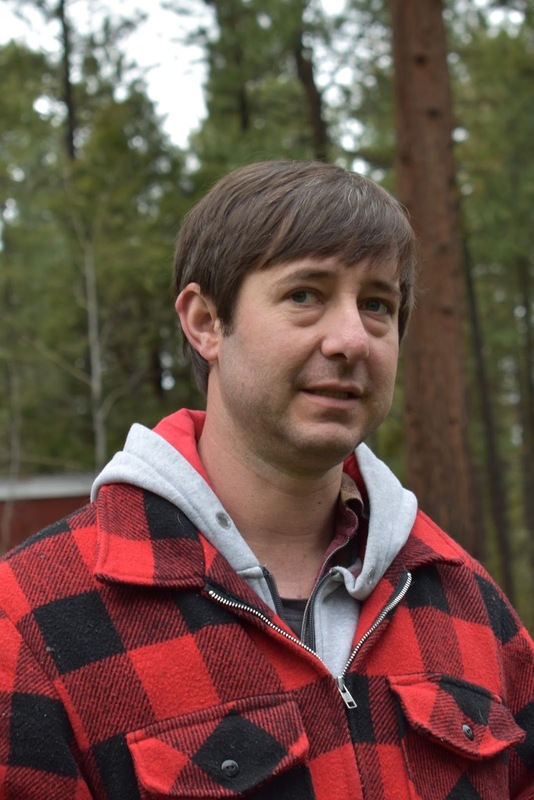 Scott Henderson said ”the smoke was horrible.” Emily said “the smoke was annoying and inconvenient.” Something that we all can agree on is that this smoke has impacted us and given us more awareness to be prepared. On August 21st, 2017 me and a lot of other Oregonians, including my classmates got to experience our first total solar eclipse. Eclipses like this are very rare. People are lucky to see one in their entire lives. You have to be in the right place to view it, or you have to travel to another state, or in extreme cases, another COUNTRY. 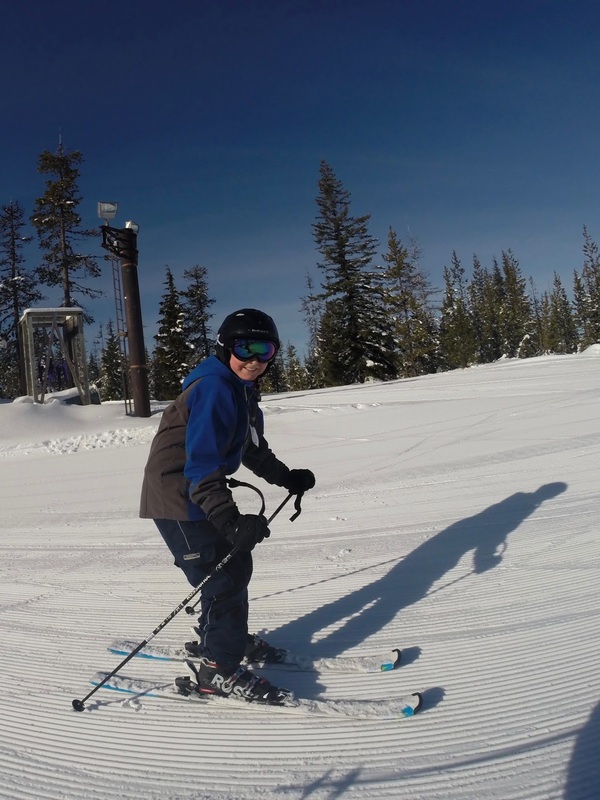 Us Black Butte students didn’t have to go anywhere. We stayed right where we were. Well, I think my classmates did, anyway. I went to Sweet Home to see it. It was still the same experience, just not as long. Let me explain some of the reasons why the solar eclipse is so significant and special. The last time a solar eclipse like this took place was February 26th, 1979. It crossed through Washington, Oregon, Idaho, Montana and North Dakota. Of course, me and my classmates weren’t alive then, which is why it was awesome to have a total solar eclipse in 2017. When the moon was almost completely passed over the sun, it immediately went from bright and hot to dark and cool in seconds. All the previously singing birds stopped chirping, thinking it was night. The nature and wildlife was silent for the entire remainder of the eclipse. As a lot of people know, staring at the sun for any amount of time during a solar eclipse can cause serious vision problems, temporary or even permanent vision loss. That’s why everyone needed to have those glasses. But you didn’t need the glasses the entire time. I took the glasses off and looked around at the trees and nature. It was really dark and cool. It sadly only lasted for like a minute and 40 seconds. It was disappointing when it was over. The next solar eclipse will be on April 8th, 2024. It will be visible over North America, Mexico, USA and Canada. In case you’re wondering where it will be in the USA, it’s the state of Texas. If you want to see it you might have to do some traveling. I hope to see it, but who knows If I’ll be able to? I might just go to Texas in 2024 to see another amazing eclipse. Video footage can’t show how cool it really looks. You’d just have to see it yourself. Cody Hanks said: “It was amazing.” I definitely agree. I’m really glad and lucky I got to experience this with my family this year. At first, I didn’t think this was a big deal, or that it was worth getting up at 10 a.m. during Summer break. But it’s totally worth it. I would have regretted it so much if I hadn’t seen it. 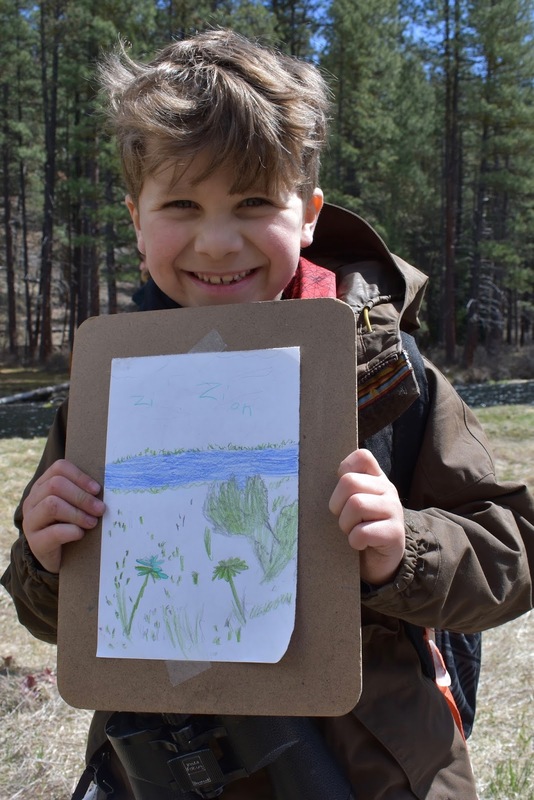 Forest Animals in the Spring! It’s that time of year when the birds, bugs, and some animals are having babies. But why now? Why are so many creatures being born at the same time? Spring is the best time for babies to enter the world. The birds and bugs lay their eggs based on the temperature and what is happening in the weather. The weather is warmer and drier. Birds try to time when their eggs hatch, so their hatchlings will have lots of baby and juvenile insects to eat. Did you know that most birds come back to use the same nest most years? What baby animals and birds have you seen? 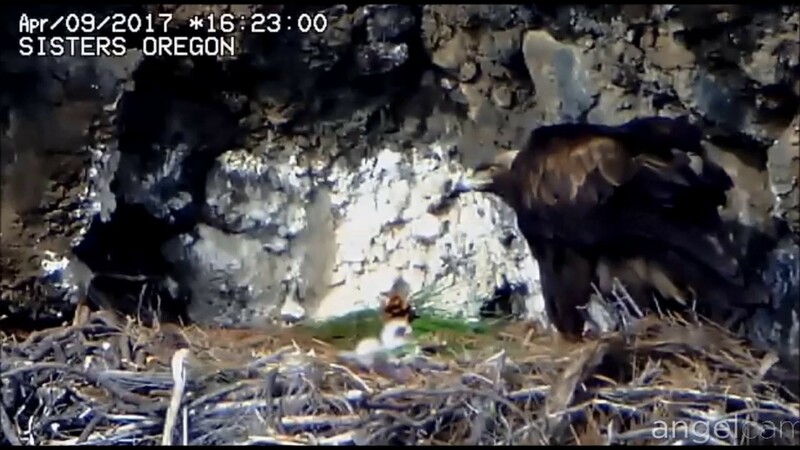 I've seen the baby golden eagles hatching now in Sisters on the golden eagle cam. Oregon has many rivers, which are available for trout fishing. Some are open all year, many are closed for a portion of the year to allow the trout to spawn and populate. 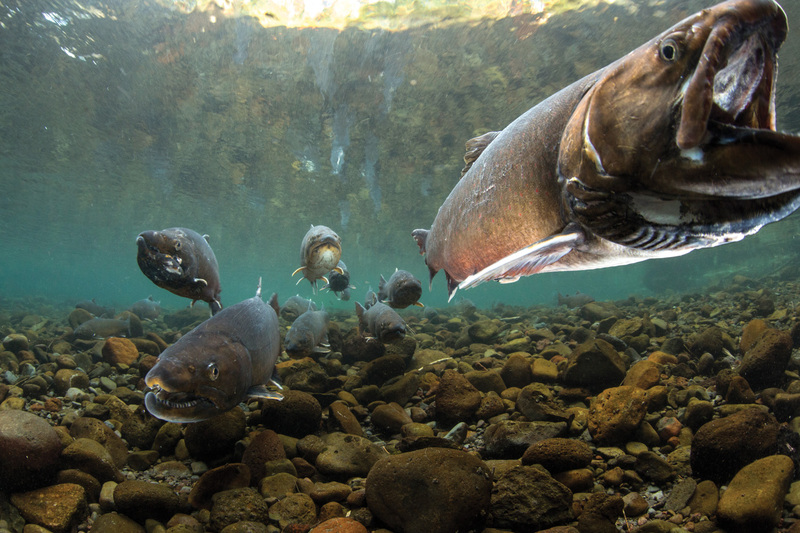 The Oregon rivers closed are opening up, so soon you can fish in all rivers. There are usually a lot of people on the popular rivers opening day. On opening day, you can fish almost anywhere you want where the rest of the year you can only fish part or some of the rivers in specific parts because it is only open for that amount of time. When the whole river is open that is the best time to go fishing because that is when you can go to areas that were closed during the winter but are now open during the spring. Winter is the time of year to start getting your fishing gear ready. Opening day in Spring is when you can go to the best places to fish. Still there are a lot of regulations on fishing, such as only useing on some rivers artificial flies and no lures. It is still really fun because you get to catch fish. Also native runs start to enter the rivers about this time of year. This is when the fishing is going to get really good because that is when the fish start to come up the river to start feeding on the flies and other bugs. When the weather warms in spring and summer, insects start to hatch and lay eggs. That is when there will be a lot of fishermen because that is when the fish will start to bite and fishermen will start to crowd the rivers. 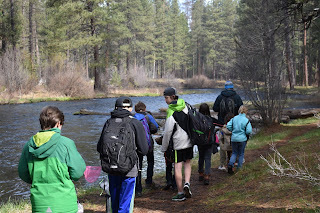 I live near and fish on the Metolius river. It is one of the most famous rivers in Oregon and many fisherman know this river from around the world. This river is open all year in some parts and open in other parts starting on “opening day.” I hope you can enjoy it as much as I do. 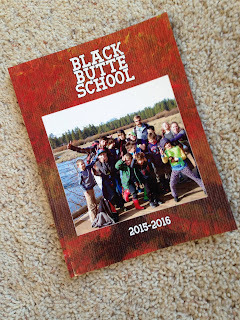 On Friday the 14 of April, Black Butte School set on an adventure. They saw flowers, trees, birds, and beasts. They went through meadows and forests until we were back at school. We experienced nest building, drew our findings, and experienced “storms”. Our hike began with walking, lots of walking. We talked and looked at many plants. 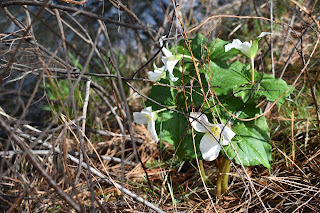 We saw birds and rare flowers, like the Trilium. After a while we came to a stop to play a game. We were to build nests with our “beak” (our fingers taped together) it took us a while and there were lots of sticks being rushed around the clearing. After that we looked at each others' nest. 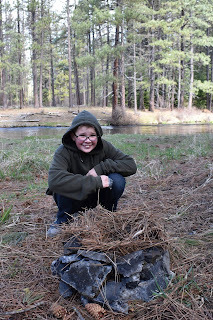 During this time Ace found a real nest! After that we did a silent hike until lunch. It was very fun to hear the birds and look at plants with no distractions. At lunch we ate and were very loud. Some people were running around and yelling while others ate calmly. I even had water spilled on me. The hike resumed once everyone was done. we walked for a while talking and having fun. 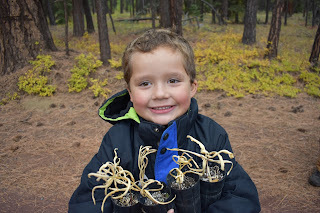 Mr.Sharp showed us some “squirrel cafeterias” where they ate pinecones. When we stopped it was to draw plants. Some people drew stuff along the river while other went farther out. BBS had an educational trip filled with fun and wondrous sights. We traveled for nearly six hours and at the end we were very tired of learning and walking. Mr. Sharp without a beard! Mr. Sharp shaved his mind blowing beard off! 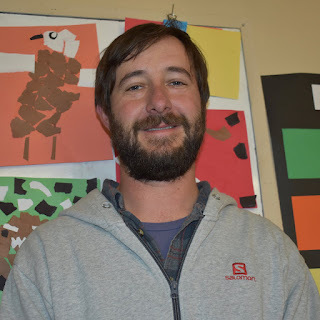 On the 1st day, it was weird and some of the kids thought that Mr. Sharp was someone else with his beard gone. “He look different,” Lily said. On the 2nd day, we were excited about it. “I thought it was cool,” Maddie said. Then we knew it was Mr. Sharp without his beard. On the 3rd day, all of us got used to Mr. Sharp without his beard. We also thought that it was really sharp. And that's what we thought of Mr. Sharp with his mind blowing beard off. 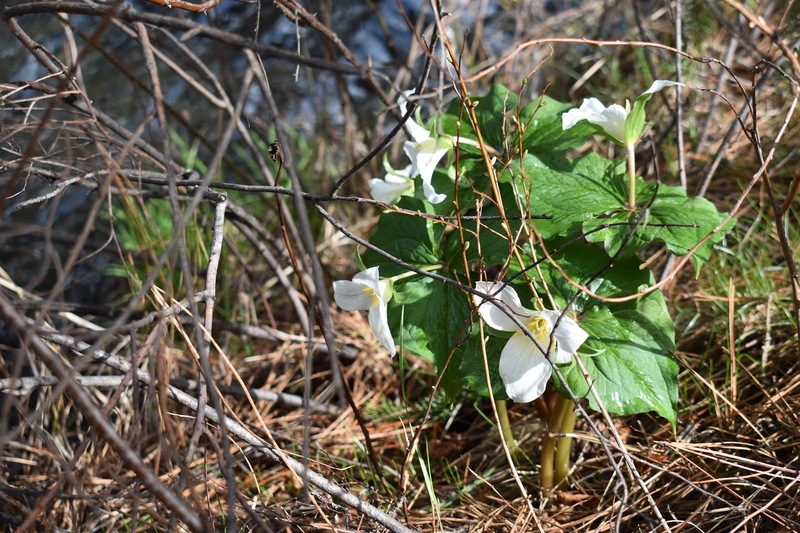 Earth Day gives us a chance to be aware of protecting our planet. We need our planet to survive. 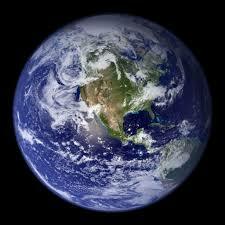 Our planet is special and one of a kind and so are we. We can conserve energy by not using our cars and using electric cars instead. We can recycle and reuse items. We can have more recycle bins than trash bins. We can refuse to use plastic straws, utensils or anything plastic for only one time use. What if we banned these one time use items? Our plants and animals are being killed and destroyed and becoming extinct. We need to replant more trees and protect the animals that are becoming extinct. In my lifetime I want to help save the earth by keeping the forests healthy and not letting mankind destroy it. I want to decrease the cities buildings and create more natural habitats. I want to save the wolfs too! This summer in central Oregon we will experience a full solar eclipse in the morning of August 21 2017. 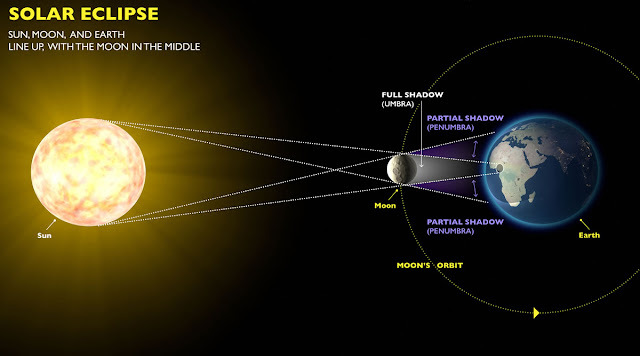 A solar eclipse is when the moon directly crosses in front of the sun and makes it completely dark. Even though the sun is farther and bigger than the moon, the moon can still cover its rays sun because it comes between earth and the sun. The last time a solar eclipse happened in the continental US was 38 years ago. 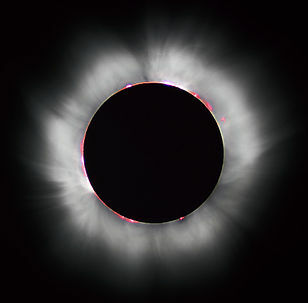 Did you know that earth is the only planet a solar eclipse can happen on? In central Oregon more than ten thousand people are going to attempt to climb up mount Jefferson to get a full view of the solar eclipse. When the solar eclipse happens it will be as dark as night and you will be able to see stars and constellations. Also there will be a ring of light around the sun that is called a diamond ring. The diamond ring effect is caused when the moon crosses in front of the sun and the sun makes a ring around the moon. This will be a fun and a rare experience for us to be in a full solar eclipse. This is the story of amazing constellations. There are stars in constellations and they all have names. 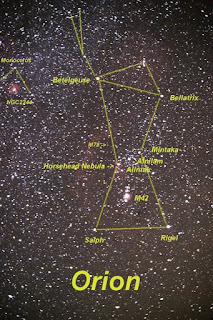 In the constellation Orion, the star Betelgeuse in his shoulder. 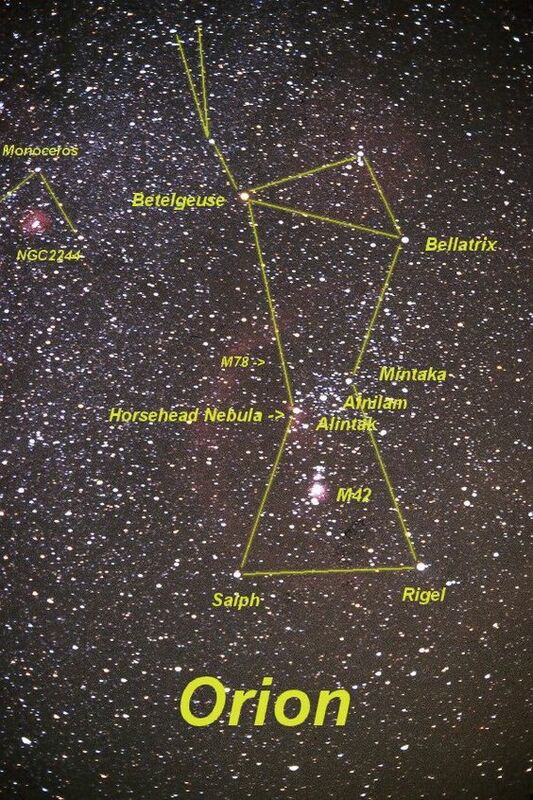 Some of these stars have really cool names, like Andromeda, but some have really boring names like m223. There are 88 constellations in the sky that is a lot of constellations. An easy way to picture them is to think of a normal map, then put it into the sky and add spaces, then you can picture all the constellations easier. All the constellations have a name like Aquarius, Perseus, and Gemini the twins. There are a lot more than that, but I can’t name them all. The constellations are amazing things, and all cultures have different ways of telling stories about them. Most ancient cultures believed that constellations are a way of telling stories. It seemed natural to them to find patterns and name them. Most of the famous ones we know got their names from the ancient Greeks. For the cityscape and moon sketches we did step by step instructions. Also for the cityscape we were allowed to add more buildings and detail after we finished. For the collage we cut pictures out of magazines, but we had to use at least 3 painted papers we made in art class. Our moon sketches aren't finished yet but they look very cool so far. One of the things about the moon sketches is that we have to do a lot of shading which is hard. 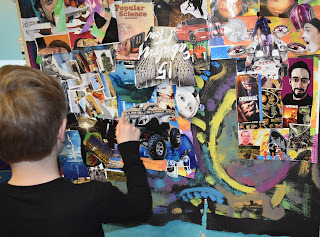 All and all I think "Make" class is awesome and fun with collage, cityscapes, and more. Black Butte School is creating a fantastic yearbook this year for the school. 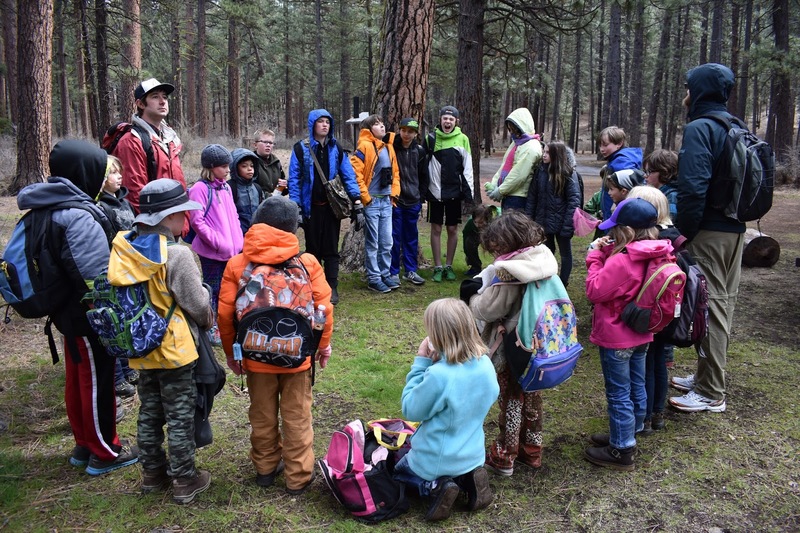 In the beginning of the year, we all learned how to use Treering. 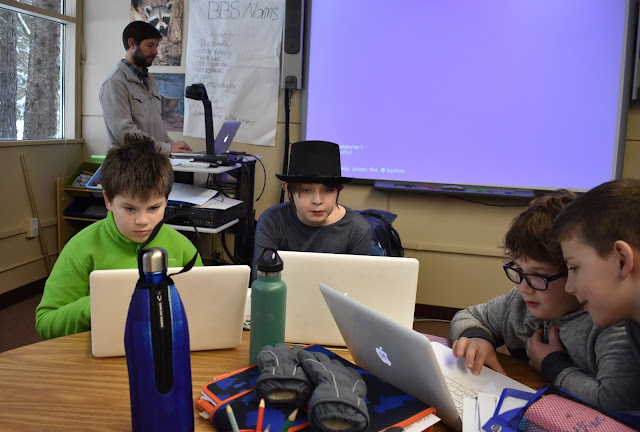 Treering is a computer program where our school can make a yearbook and the families can buy the yearbook. Next, we learned how to make it and we got assigned themed pages. After we got assigned pages we worked on them and put pictures on the pages. We also had to think of a theme for the whole book. We all voted on which theme to choose. The title is keep calm and sign my yearbook. Last but not least, we get to make our own personal pages. On these pages we can put any school pictures on so we can remember our friends. Those pages will only print in our yearbook. When we finish our yearbook we get to sign other people's yearbook. I can't wait to see our yearbook this year and I hope the rest of the school is too. From The Western times to the Modern times Sisters has been in Oregon for over a century but now has to deal with the issues of cars and traffic. For a short while, Sisters had traffic lights installed at the corner of Barklay road and Highway 20, but they then were taken down. Since there have been more traffic accidents. Sisters decided that they should put in a roundabout to make it so then there wouldn’t be that many accidents. There isn’t that much information on why they decided on a roundabout, but here is some information and people's thoughts on the roundabout. 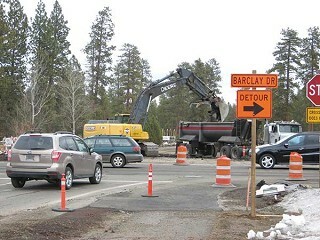 The roundabout is being constructed from 7am to 7pm by knife river. It will be close to Bi-Mart and Best Western. Right now they are blocking off Barklay road, so they can put their supplies there. They have also had to keep laying de-icer on the road because it has been icey. There is only one other roundabout in sisters, and this roundabout on the main road/highway will probably look similar the one other roundabout. There are also students who hate it because it could destroy wildlife,cause more accidents, and make it slower to get in and out of Sisters. Ilya said “I don't think we need it because it's going to destroy more wildlife in sisters and it will soon close off the road making people take more time to do things.” The roundabout will be very odd but people just will have to wait and see. 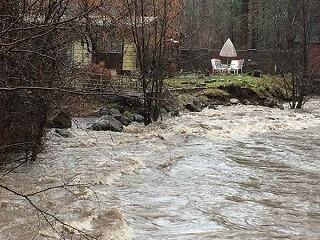 Sisters, Oregon is faced with a dangerous situation, flooding. Residents are wondering what will happen when Whychus floods. What causes flooding, some people may ask. The answer is when lots of water goes into a river and causes that river to go over its banks. In sisters this spring, the snow melting and the rain will pour into the Whychus possibly causing it to flood. Sisters residents are meeting and figuring out ways to survive the possible flood. One person was writing down phone numbers so they could call people in the event of a flood and make sure they are O.K. Some residents looked at a map of the flood plane and said it was very helpful to know if they were safe, there were also computers open to sites about flooding. A fun fact is that in 1996 there was a flood that wiped out Highway 20. There are some things people can do to prevent lots of damage due to a flood. One obvious thing is move away from the flood zone, but there are many more. People could create barriers and mark houses as shelters. People could try draining water from the Whychus. One way that would work well is remove snow, but the water of the flood could come from the peaks of the mountain. The flooding in Sisters is a scary thing to think about and is possible, but if we take extra precautions we will be fine. 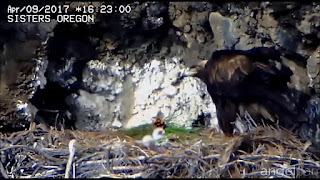 For more information, check out this video from our local tv station, ktvz.com. Every February, we celebrate African-American History Month to remind ourselves of the achievements of hard working African-Americans who wanted freedom more than anything. Many African-Americans had ideas about being a civil rights activists and here are just three of the most famous ones and one who was not planning to be an activist, but is remembered as one. Probably the first person to pop into people's heads is Martin Luther King Jr.
Martin Luther King Jr was born in 1929, he attended Georgia schools, but was segregated from white kids just because he was African-American. After graduating from college, there were protesting everywhere for civil rights across the U.S.. King wanted to improve the protesting when they were protesting about civil rights. So to try to improve it, he gave his “ I have a dream” speech at Lincoln's Memorial at Washington D.C in 1963. This speech as planned, improved the protesting and also stopped segregation in a lot of cities and states in the U.S. He also won a Nobel Peace Prize. Sadly, Martin was assassinated in 1968 by James Earl Ray, a criminal and a white supremacist protester. But Martin Luther King Jr was not the only civil rights leader to be assassinated. 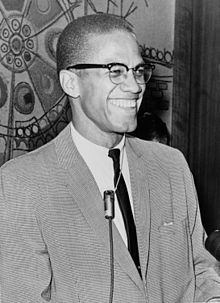 Another civil rights activist was Malcolm X.
Malcolm X was born in 1925, nicknamed “Malcolm Little.” In 1946, Malcolm and his friend were convinced of burglary charges and was sentenced to 10 years in prison. After being released from prison, he became a key spokesman in the civil rights movement. In 1965, a group of men ganged up on him and killed him. Over 15,000 people attended his funeral. 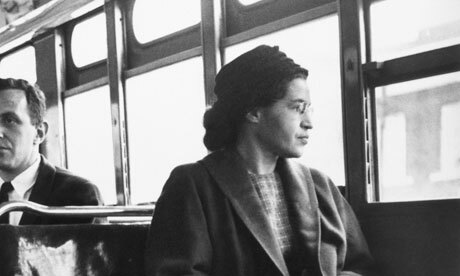 But the most unlikely person to be famous and remembered was Rosa Parks, and it all started on a bus in Alabama in 1955. A bus driver asked for her to get out of her seat for a white person, but she refused to, so they decided to arrest her. This caused outrage and the civil rights movement to be stronger. Many achievements of African-Americans were for civil rights and freedom. But also, endurance and perseverance since they have been through a lot, like slavery and trials for crimes they did not do. A question remains, why is this holiday so important? First, African-Americans are a very important part in history for their influence and standing up for themselves. And second, their culture has endured many tragedies and it is a good to reflect on their strength and endurance each year. Everyday today, African-Americans still face racism, but many grow stronger and endure from it. The Best February 14th Ever! This year, on Valentine’s day, everyone was SUPER excited. They couldn’t wait to hand out all their valentines, and tried to give them all out on the bus! All the valentines had a lot of thought put into them and everyone was very grateful. To celebrate Valentine’s day, we played a super fun game in morning meeting, called “Honey I Love You." You had to walk over to someone and try to make them smile or laugh, by saying "honey, I love you." But if they smiled, they had to be in the middle. After a few rounds of that, everyone was bummed that we couldn’t play anymore, and we had to start class. However, everyone did get the chance to do something really fun in math class. 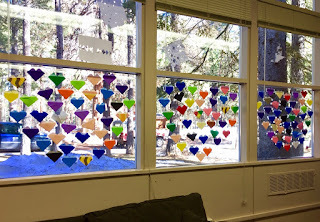 We got to choose between various things to do, like these awesome connect-the-dot math sheets, origami, difficult math problems and cutting out paper hearts. 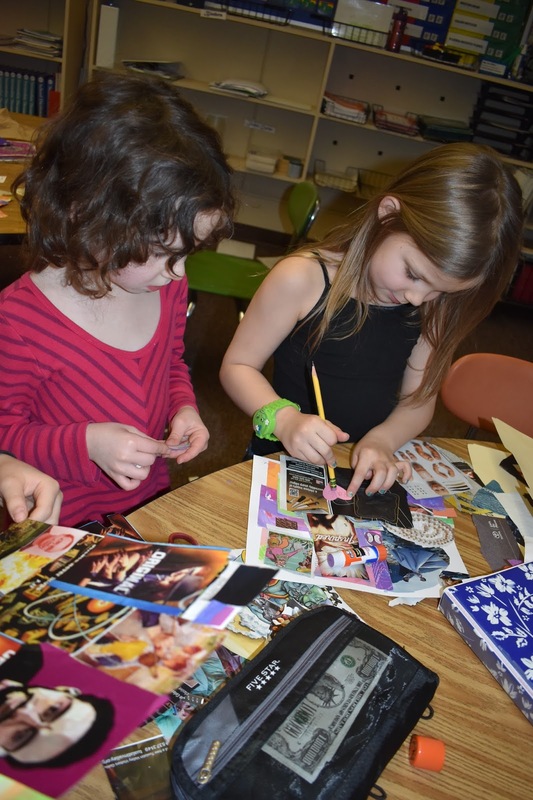 The lower graders made bags for everyone to put their valentines into, and they would leave them on their desks so people could come and drop them in. After an amazing recess, we went inside to Mr. B’s classroom. (Mr. Sharp teaches in there on Tuesdays and Thursdays.) He let us have one piece of our candy during snack time. Everyone took a while to finish theirs. 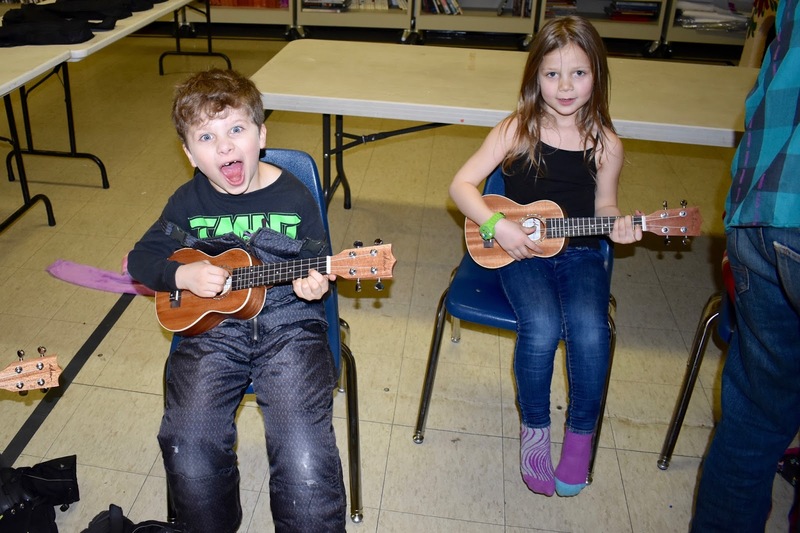 Needless to say, everyone loved all their valentines and had a great time. We may not have had a big celebration, but it was still a very fun valentine’s day. I think everyone got lucky that we didn’t have to do our independent math problems that day, and we could choose some fun math-related activities to do instead. The game we played in morning meeting was also very fun, and I hope we play it again next year. Valentine’s day this year has been awesome; especially for my first year at Black Butte School. I hope next year isn’t any different! I love Valentine’s day. 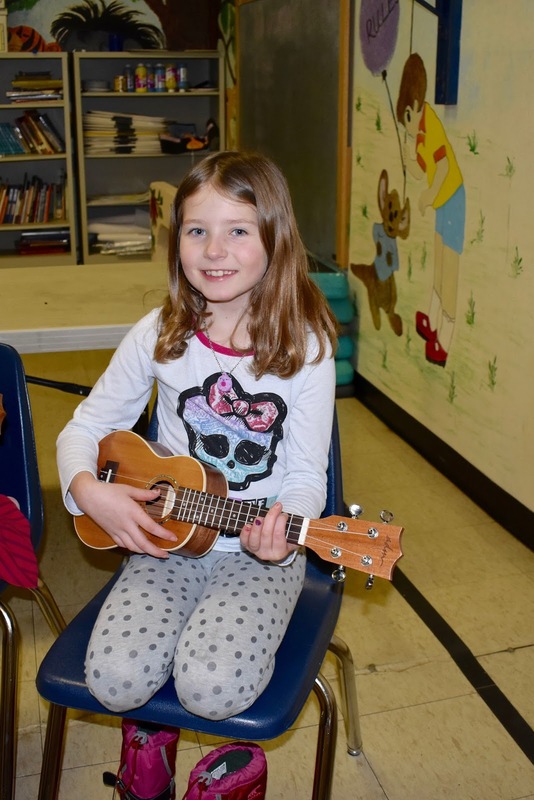 Music class is fun to experience, but not as much to write about. Still I’m going to try my best in this article. Our teacher, Benji Nagel teaches us with enthusiasm. 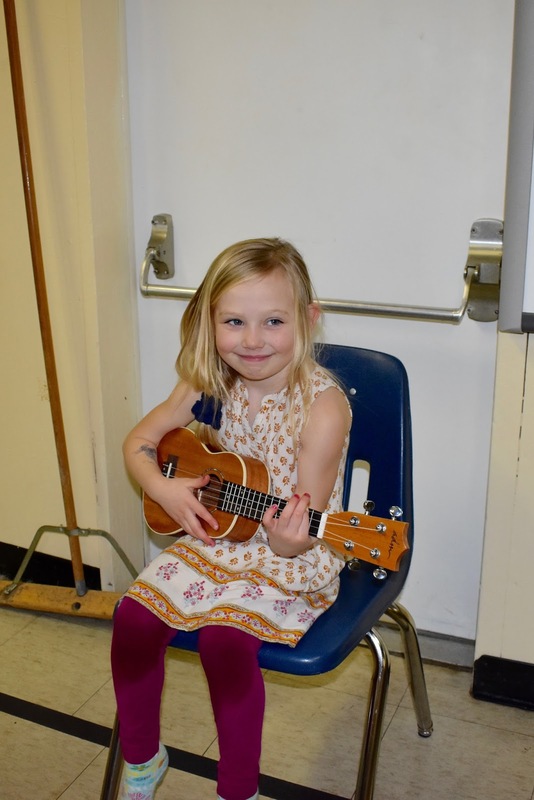 Music class is every Tuesday and Thursday afternoon. 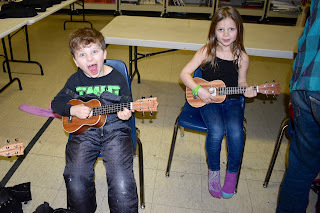 We are starting by learning the ukulele. Older students might progress to guitars. 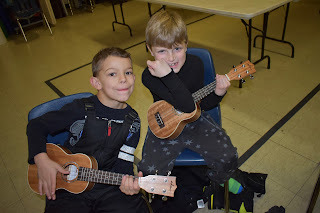 I’ve learned that the ukulele was introduced to Hawaii in 1879 from Portuguese. It has 4 strings. A guitar can have 4-18 strings, though usually 6 strings. Guitars were a part of the European renaissance, though scholars disagree how it was introduced to Europe. I’m really glad we are starting out with 4 strings and not 18 strings! We’ve started by learning basic chords like C, D, G, and F. Smoke on the Water is one of the songs we’ve practiced using the chords. I’m looking forward to practicing more. Writing this article wasn’t so bad, but still music class is much more fun. For over a year Black Butte School has been writing articles to learn how to get new writing skills. This program was introduced by Ms.Sharp last school year, and this year has been taken over by Mr.Sharp. The articles have been about what happens in the school year and events that happen in the world. The school's process of writing is brainstorming, making an outline, making a rough draft, peer editing, then making our final draft which goes out to you. For class time we are given a hour to work on our article and after we have a week to work on our final draft. 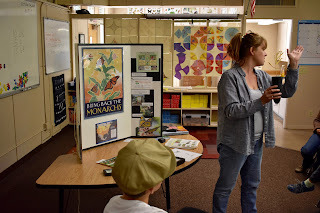 To decide, each 4th grade and up student comes up with an idea and then is called out to choose which idea they want. When working on editing each student is grouped up with another student then looks over the article while filling out a forum. After that, they talk and go over what could be better with each other’s articles. Some articles get published on our blog (like this one), and others get published in our newsletter. That's the Black Butte School's journalism process. We will keep doing this for years to come to deliver our thoughts on the news of our school to you. It is snowing a lot this year. That is good because we can ski and have fun. It covers the dirt, rocks and stumps. If there is powder it is soft when we crash. If there is not enough snow, Hoodoo can't open the runs. With lots of snow we can make snowpeople and have snowball fights. Lots of snow makes skiing fun. 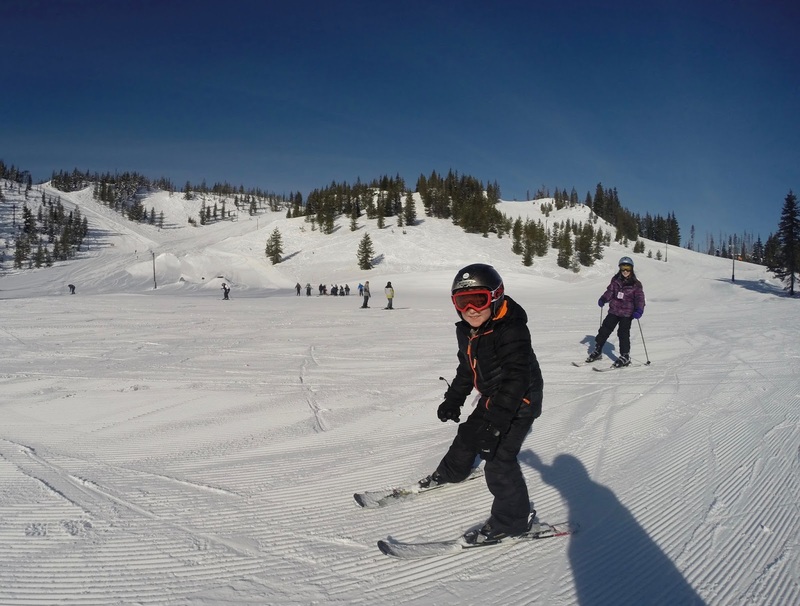 In order to ski you need a helmet, skies, jacket, boots, snow pants, extra layers, gloves, and goggles. Equipment keeps you safe, for example, the skies can pop off your boots if you crash, so you don’t go down with your skies. 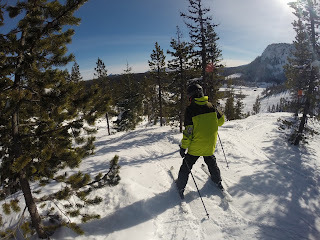 Skiing is fun because we get to go really fast. Some of us get to go through the trees and that is really challenging. We can jump up in the air which is scary, but lots of fun. When I ski I am with my friends and it keeps me healthy. Lunch time is when we refuel our bodies and take a big rest. I like lunch so I can talk with my friends and share stories of skiing. Lunch time is a good time to change wet clothes into dry clean clothes, and go to the bathroom, because there are NO bathrooms on the mountain! It is really important to stay hydrated and drink lots of water too. Know your limits on the slopes, so you don’t get hurt. If you're a beginner then stay on the beginner runs, don’t go on the black diamonds. Always ski with a friend, so if you do get hurt, they can go get help from ski patrol. Its is important to know skier etiquette, so you don’t hurt another skier. 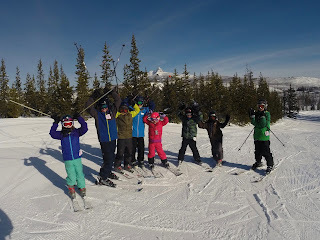 I researched about skier’s etiquette online and learned about it from an article on TeensHealth.org. Skiing is a blast, so stay safe and keep it a blast! Enter your email here to get updates on newly published blogs!